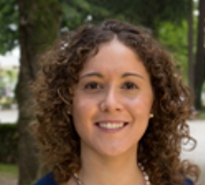 MICHELA CARLANA is a PhD candidate in economics at Bocconi University and an associate of Harvard University for the academic year 2015/16. Her research focuses on microeconometrics applied to public policy evaluation, especially in education and against racial discrimination. Furthermore, her research interests include political economy. In 2012, she obtained a master degree in Economics and Public Finance at University of Padua. She was a visiting student at University of California at Los Angeles (UCLA) in 2011/12 and at University of Glasgow in 2009/10.